Feigning to be what one is not is something Renaissance man Peter Tägtgren can never be accused of. 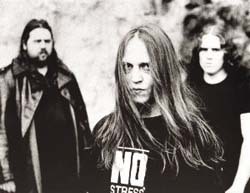 A living embodiment of music (who has also appeared in three films and written music for one), Tägtgren has been a central and active figure in the extreme metal movement for over a decade. With a list of Abyss Studio production credits (Dimmu Borgir, Immortal, Marduk) linking him to some of the most groundbreaking albums of recent times and rightfully hailed by Alternative Press as “the Rick Rubin of Scandinavian metal,” the restless genius of Peter Tägtgren can be equally measured by the vast list of his own musical output. A well-known insomniac workaholic who lives life at a relentless pace, the vice of Tägtgren’s work ethic has proven to be virtuous for the underground scene. 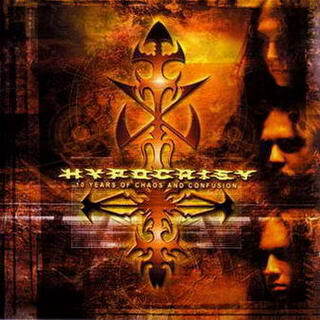 2005’s Virus boasts a lethal combination of reptilian vocals, powerful percussion, grandiose atmospherics, and symphonic requiems, truly revisiting all previous parts of the HYPOCRISY catalogue. 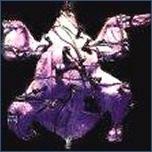 Once Virus infects you with its beautifully brutal and painstakingly produced music, a worldwide pandemic is inevitable. After closing the door on his band Seditious following their 3- and 5-song Life Of Pain demos, guitarist Tägtgren formed HYPOCRISY in Sweden as a quintet in the early ‘90s after having briefly lived in Florida in the late ‘80s – and occasionally drumming for Malevolent Creation. The inaugural line-up included Masse Broberg on vocals, Mikael Hedlund on bass, Jonas Osterberg on guitar, and Lars Szöke on drums. 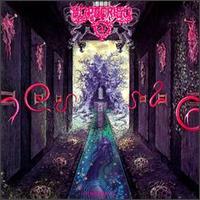 This first incarnation released Penetralia in 1992 (with its heavy Morbid Angel, Deicide, and Entombed influences), but it was 1993’s Obsculum Obscenum when the metal underground took notice of the purity of HYPOCRISY’s old-school death metal approach combined with the unbridled fury of the burgeoning black metal genre. 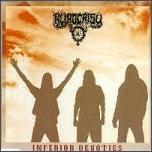 1994’s Inferior Devotees five-song EP showcased the Tägtgren / Hedlund / Szöke line-up that most would come to associate with HYPOCRISY, though equally notable was Tägtgren’s permanent switch to lead vocals. 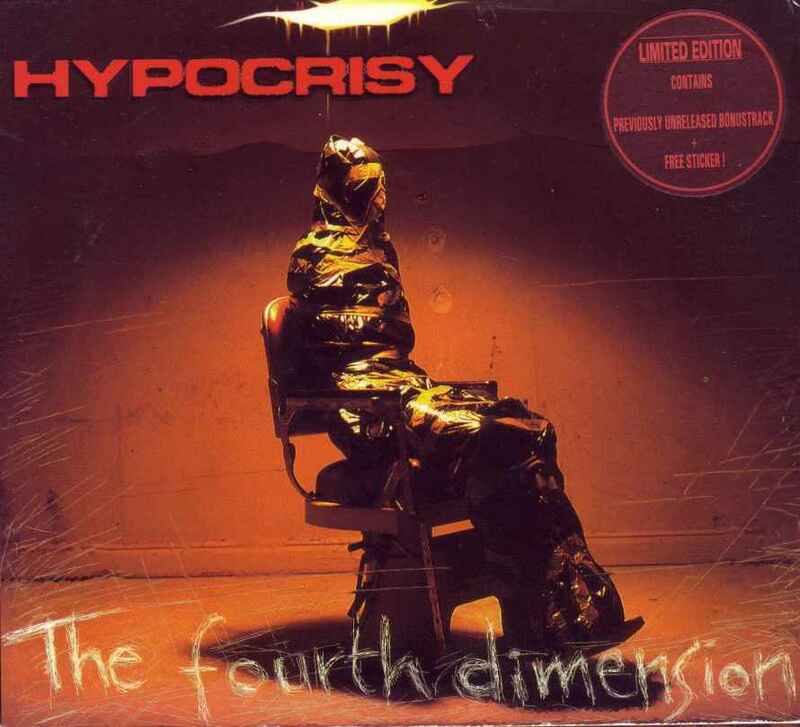 The Fourth Dimension, 1994’s full-length studio album, showcased Tägtgren’s vocal range and also introduced keyboards, melodies, and slower tempos into HYPOCRISY’s musical cartography. With 1996’s excellently produced Abducted, Tägtgren began to share his lifelong childhood fascination that would become his modus operandi: themes & lyrics about extraterrestrials. Introducing “Roswell 47” (a song destined for set list immortality) and securing an infinite amount of future writing material, HYPOCRISY continued to prioritize moods over strict adherence to any one musical genre, and therefore pursued a legacy of sonic alchemy that could be death, black, thrash, and even gothic at any given moment. 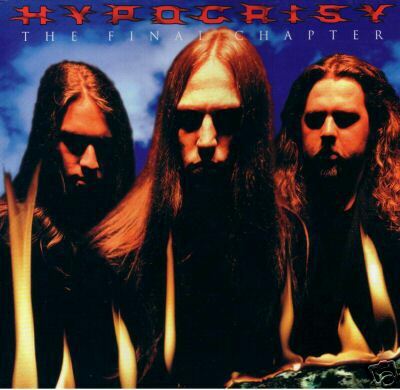 The dirtier sound of 1997’s The Final Chapter reached a wider audience with its fluid elements; however, rumors circulated that the album title was broadcasting the band’s dissolution. 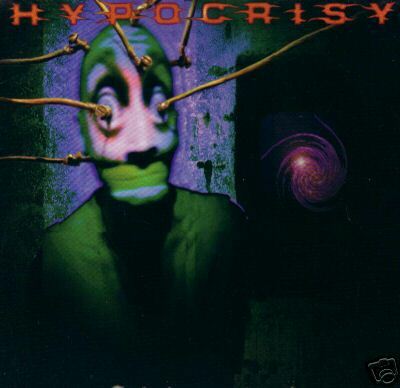 Clearly, the strains of writing and producing HYPOCRISY’s music and lacking the time to further develop his own electronic/industrial side-project with clean vocals (Pain) led Tägtgren to choose between HYPOCRISY’s career and Abyss Studios’ continued existence. Swayed by worldwide fan pleas and weary from the unrelenting requests to produce records for other bands, his decision was made easier by a contagious desire to experience a Swedish summer outside the confines of a studio control room, to tour more (and perform half-naked! 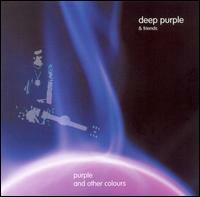 ), and use Abyss Studios solely to record his own bands, as well as a few select bands. 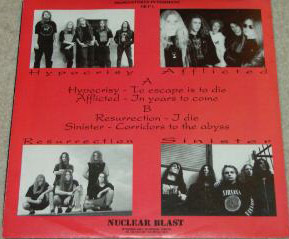 1999’s self-titled album hijacked HYPOCRISY’s retirement and a renewed vigor marked the band’s reformation, elegantly captured in the song “Fractured Millenium.” The tracks on 2000’s death-drenched Into The Abyss were captured in a few weeks, and were an exercise in spontaneity that resulted in a display of energy so raw, it proved that a band’s death metal origins could propel music into exciting new landscapes. 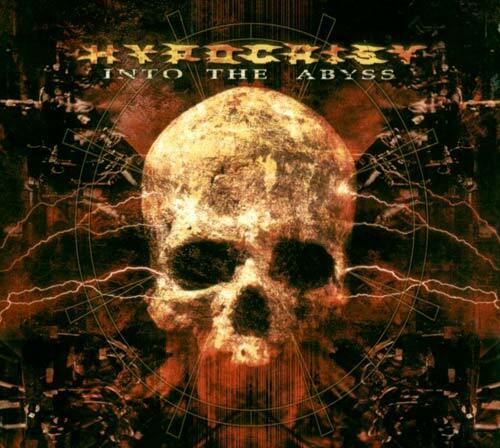 In 2001, HYPOCRISY fans around the world were invited to choose the track listing for the Years Of Chaos & Confusion box set, with all chosen songs released prior to 1996’s Abducted re-recorded to drench them in a heavier production. 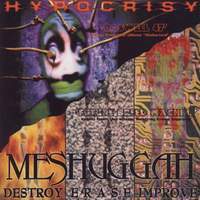 Always determined to evolve their style, HYPOCRISY never seemed content with the stagnant lethargy of a redundant sound. Answering to no one but themselves and borrowing a title from Joseph Heller’s classic tale of contradiction, Catch 22 was released in 2002 and reared a savagely experimental and evolutionary attitude. Touring North America that year with Killswitch Engage, Soilwork, and Scar Culture, fans were treated to addictive doses of HYPOCRISY’s live, vile aggression. 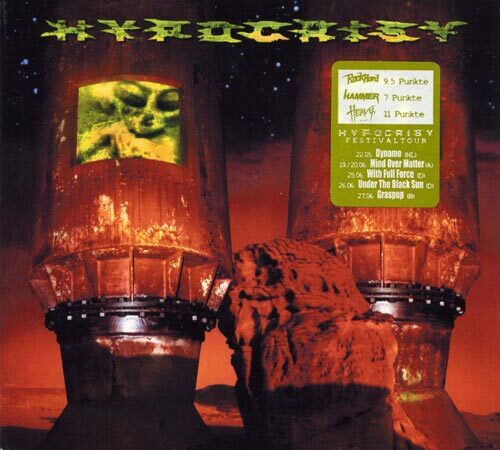 Honoring the pledge to tour more, HYPOCRISY was noticeably affected by their pillaging of North America in late 2003 with Dimmu Borgir, Nevermore, and Children Of Bodom and numerous sold-out shows. It came as no surprise that 2004’s The Arrival had a predisposition of urgency, though it also came to be long-time drummer Lars Sköze’s swansong. 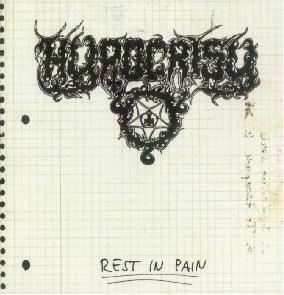 Former Immortal/Grimfist drumming machine Reidar “Horgh” Horghagen – a man Tägtgren had long admired – replaced childhood friend Szöke (who also played in Tägtgren’s school band, Conquest) not only for the band’s upcoming tour with Cannibal Corpse, Exhumed, and Vile, but as a permanent member. 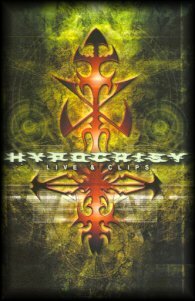 Procuring passport stamps from various countries in Europe and South America, HYPOCRISY returned to North America in the spring of 2005 with Soilwork, Dark Tranquillity, and Mnemic to harvest some frenetic momentum before heading into the studio to record their latest album.